Here is a quick snapshot of historical sightings of lions in North Africa, as documented since the 1500s. This figure shows the shrinking presence of the species shown as dots and triangles across the Maghreb (shaded region in the maps below). By the 1900s the population was effectiely split into a western (Morocc0) and eastern (north east Algeria) sub-populations (Black et al 2013). 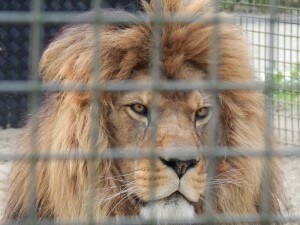 At best, the only lions left are the residents in Rabat Zoo, derived from the King of Morocco’s private collection. This entry was posted in Extinction on July 22, 2014 by Simon Black. 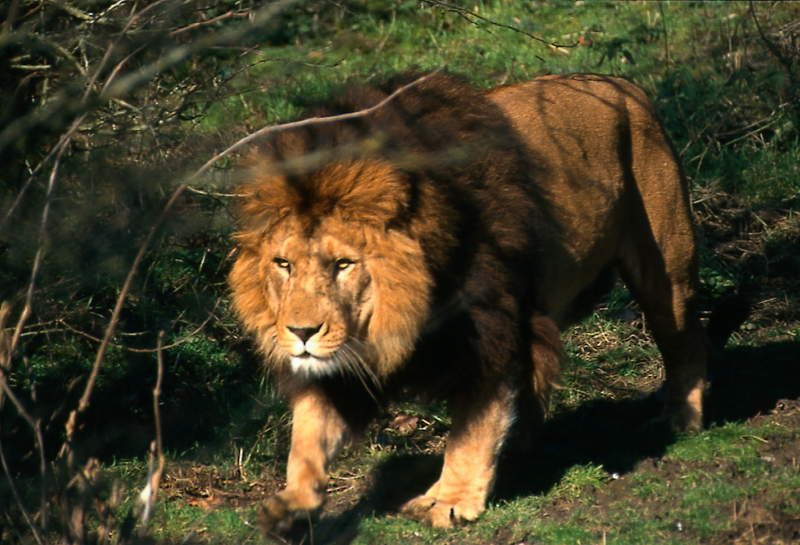 The Barbary lion was isolated in the Maghreb in North eastern Africa where the Atlas Mountains provided a natural barrier to the encroachment of the Sahara to the south. The map below shows the distribution (in green). 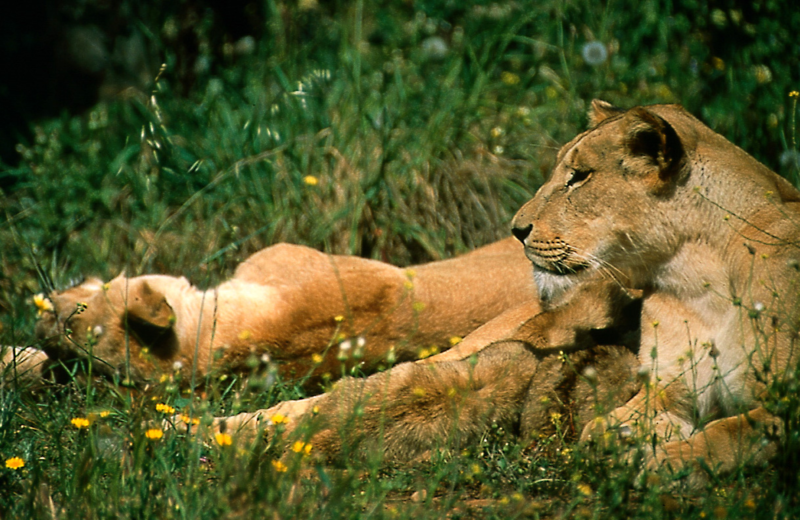 Lions formerly ranged across Africa, the middle east, southern central Asia into India. Only the most inhospitable deserts and impenetrable rainforests and swamps were free of lions. The demise of the Barbary lion population in North Africa in the 1800s and 1900s mirrored the disappearance of the Asiatic lion from the Middle East over the same period. IN more recent times the shrinking of populations in Central and West Africa has been equally alarming. 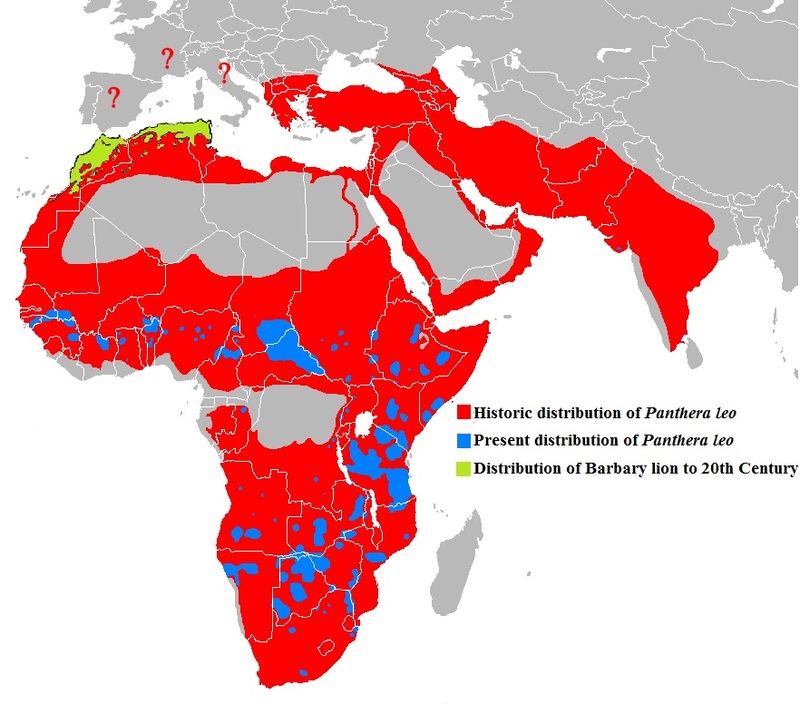 Today lion populations are extremely fragmented as indicated by the blue patches in the map. The only stronghold of the Asiatic lion is in the Gir Forest in Gujarat, India (although lions form this national park have since started to spread west to coastal forests and scrub and on occasions north into the mountains bordering Pakistan). This entry was posted in Ecology, Extinction on July 8, 2014 by Simon Black. 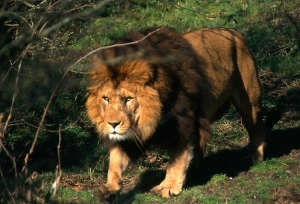 Contemporary descriptions of the fabled Barbary Lion tend to emphasise the size, hairiness and ferocity of the sub-species. It would seem that these views are a mix of ancient historical accounts (for example use of the lions in the Roman Coliseum Games), descriptions of the animals as ‘large maned’ and perhaps some exaggerated hunting records. Scientific accounts give a more sober view. Both Guggisberg (1963) and Hemmer (1978) describe the animal as a medium sized lion. However it did perhaps have a thickset build, emphasised by a relatively short leg length and deep body when compared with lions on the African savannah. These features may have been an adaptation to a mountainous habitat, with a different mix of prey species and are reflected in some of the artistic images of the animal. One of the most striking depictions is the Arab Courier taxidermy by Jules Verreaux, arguably the most spectacular (and at one time controversial) taxidermy ever created and which is now housed in the Carnegie Museum in Pittsburg. This diorama includes two mounted lions thought to be of North African origin (but not yet genetically tested), collected as wild shot individuals in the mid 1800s, certainly no later than its creation in 1867 for the Paris Exposition. 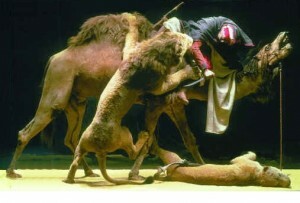 Interestingly the attack on the camel is by a pair – male and female, suggesting, if collected together, they were both sexually mature adults (however dozens of barbary lions were shot by French colonial hunters in Algeria around this period, so we cannot be sure that they are a true pair). The ferocity of the attack is evident in the diorama, but interestingly, both animals are of relatively modest size. The medium sized animals described by science, perhaps? Hemmer H. (1978) Grundlagen und derzeitiger Stand des Zuchtprogrammes zur Rückerhaltung des Berberlöwen (Panthera leo leo). In: Seifurt S, Müller P, editors. Congress Report, 1st International Symposium on the Management and Breeding of the Tiger, 11th and 12th October 1978 in Leipzig, Abb. 1. Zoological Garden. Leipzig: International Tiger Studbook. 65–72. This entry was posted in Cultural Impact, History, P. leo leo on July 1, 2014 by Simon Black.